Success has many Stories, Failure has none. Matt Damon who dons various hats as actor, voice over artist, producer, screen writer and philanthropist is one of the greatest living Hollywood talents of the present times. Hailing from a modest family background, Damon had to the battle the odds and rejections to get where he is today. His star status coupled with intense acting skills makes him one of the hottest in the zone, with millions in fan following. Matt was born in Massachusetts. He is the son of a stock broker father and a mother who was a childhood education professor. He was born on 8th October 1970 in Cambridge, Massachusetts.Matt Damon’s father is of Scottish origin and mother a Swedish descendent. He has a brother who is a sculptor and an artist After the divorce of his parents he and his brother went back to Cambridge with their mother and had to reside in a communal house in which six families already lived. 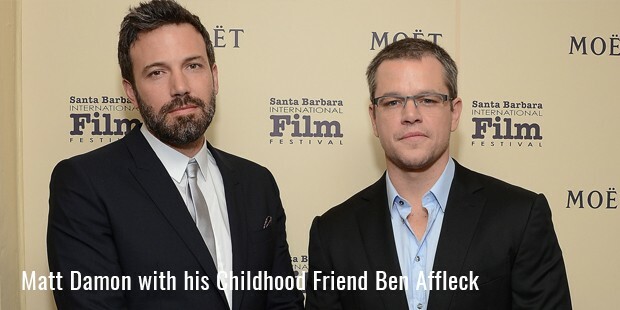 Matt Damon shares a real affinity with Ben Affleck who was his childhood friend. Matt also has a close liaison with many film producers and makers. 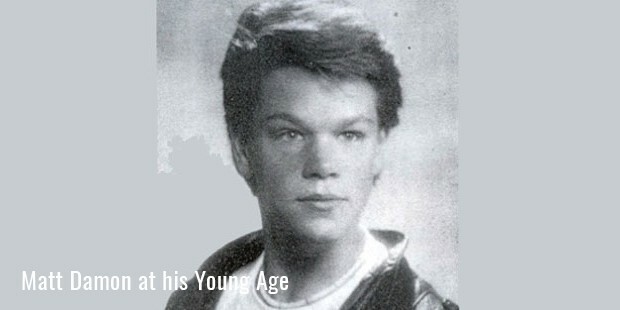 In his initial years of childhood he was a student of Cambridge Alternative School and then attended Cambridge Rindge and Latin School.Matt Damon came under the top five students of his class and was quite popular among his teachers. 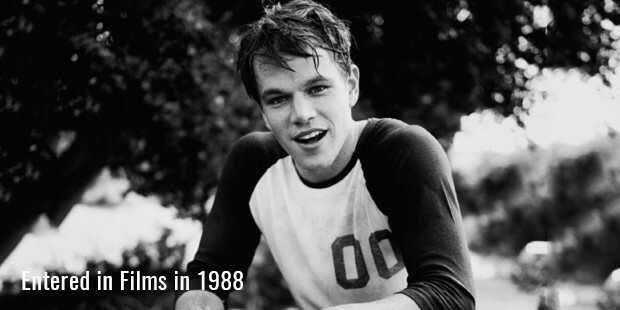 Matt Damon entered in films in 1988 when he was 18 years old. His debut movie only gave him a role that required him to deliver only a dialogue which was of one line. The name of the film was Mystic pizza. It was a comic caper. Damon learnt the craft of acting from Harvard University and simultaneously worked for many small budget film projects. He went for an audition for a movie, Cutthroat Island but was rejected in that. Later Courage of Fire was the movie which offered him the chance to exploit his talent and credibility as an actor. In the film, he represented the character of a soldier who is an opiate addict. The movie gave Damon critical appreciation, but made him slog hard for the role. The character required him to lose oodles of weight. 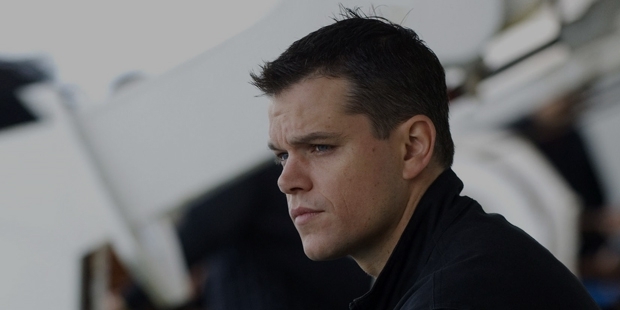 After doing many films as an actor, Matt Damon experimented in screenplay. He and good friend Ben Affleck wrote a screenplay about a young man who is a math genius. Later they made some modifications in the script because of the solicited advice of their well wishers. In 1997 Damon played the role of a lead hero in the dramatic movie, The Rainmaker through which he got the recognition of being the most promising star of recent times from Los Angeles Times. Steven Spielberg, the great filmmaker casted Matt Damon in Saving Private Ryan, a film based on World War II. Steven had a strong conviction that Damon will justify his role to the fullest. Matt Damon is a winner of several awards. His name went for the nominations to Academy Awards for Best Actor in a Leading role. He won the award for Best writer. 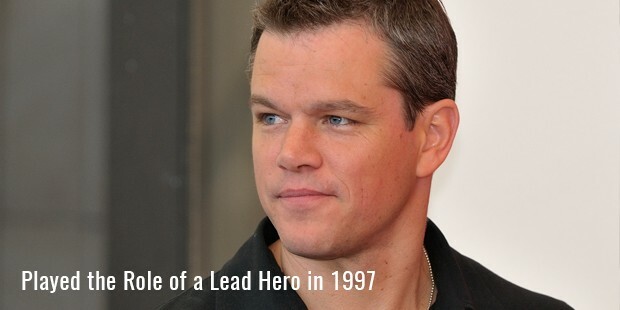 In 2007 Matt Damon was categorized under the list of stars in prestigious Hollywood Walk of Fame. Matt is also nominated for Screen Actors Guild Awards and seven MTV Movie Awards for his outstanding work in various films. Matt received the coveted title of Sexiest Man Alive by People Magazine in 2007. 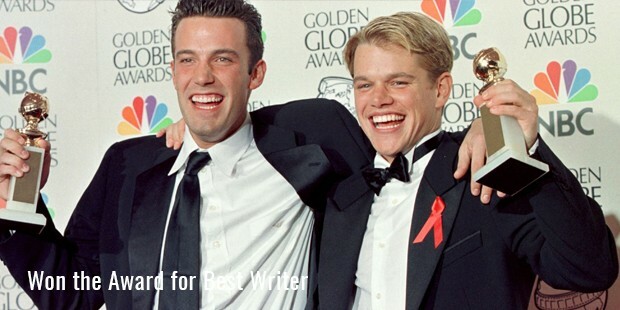 Matt Damon fell in love with his costar Minnie Driver whom he met during the making of the movie, Good will hunting. Later the relationship fell apart. Then he started dating with actress Winona Ryder. 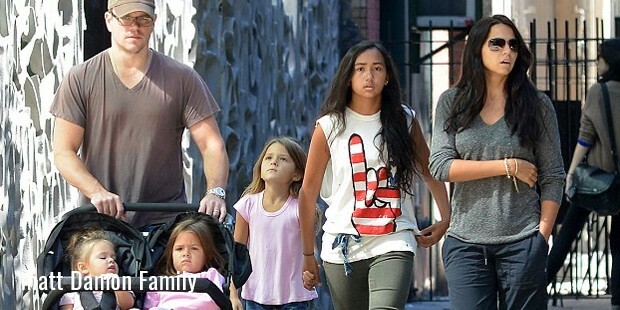 Matt finally got married to Luciana Bozan and has three daughters with her. Damon’s story inspires one and all to dream and achieve what they want. His struggle as an actor is a learning example for many strugglers in Hollywood who see a ray of hope with one single message – keep doing what you are doing and success will come to you eventually.